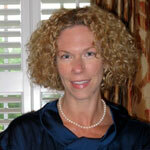 Dr. Whittington graduated from the University of Florida in 1996 with a Doctor of Pharmacy degree. She has over 13 years experience as a licensed consultant pharmacist providing drug regimen review and medication management services for over a dozen facilities including both long term care facilities and intermediate care facilities for the developmentally disabled. Her expertise includes providing drug utilization review services, drug therapy treatment and dosing recommendations and medication monitoring services to medical and nursing directors and medical support staff. In addition, she has provided numerous in-service educational programs on national treatment guidelines for chronic diseases and acute conditions as well as national guidelines on in-patient facility medication prescribing and administration policies and procedures. Other areas of experience include supervising the maintenance of all records and reports as are required by law to ensure patient health, and safety including pharmacy patient profiles and medication administration records, reports of suspected adverse drug reactions and oversight of drug storage and dispensing areas in various institutional settings. Dr. Whittington is a member of the American Society of Consultant Pharmacists and is licensed to practice in the states of Florida and Georgia.